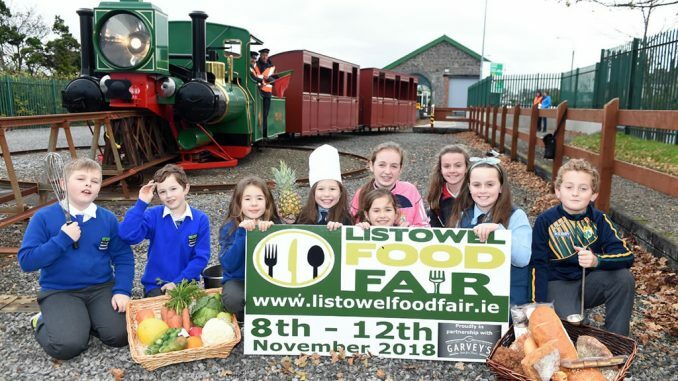 Listowel Food Fair 2018 is the 24th year of this Food Fair which has been growing steadily over the years. Although it has not yet reached the level of the Dingle Food Festival or The West Cork Food Festival, it is now firmly established in the annual calendar of all Irish foodies. Listowel is well known for its hospitality and its festivals (best known are Listowel Races and Writers Week) and you will find that there’s lots more going on besides the food and drink. Over the following few days you can enjoy lots of events including Coffee Mornings, Farmers Market, Oyster Tasting, Craft Beer and Food Pairing, A Taste of Armenia, Cook & Wine Book Sale, Pig & Porter Night, Street Food Fest, A Taste of Lithuania, Listowel Food Fair Awards Dinner, Live Jazz Lunch at The Listowel Arms, a half marathon, workshops, Listowel Food Trail, Landscape Art Exhibition, Craft Fair, Whiskey Tasting and lots more.